Seventeen teams teed off for the second annual OOT Golf Tournament on Aug. 4 at the Tamarack Golf Course. Despite temperatures in the 90s, all teams finished the 18 holes before seeking their well deserved respite in the Tamarack Clubhouse to share the results of the scores posted. Pictured is the Wayne Drugs team. From left are: Nicholas Sterio, Tim Weigelt, Brian Weigelt, Kevin Brownell. 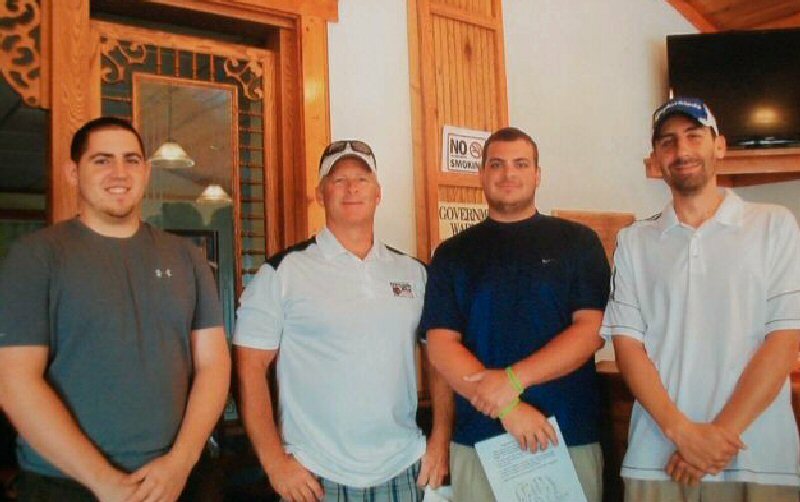 Wayne Drugs placed first over all and first place for the All-Men Division, with Brian Weigelt, Kevin Brownell, Nicholas Sterio and Tim Weigelt getting the low score of 62. Team “Passionata” placed first for the All-Women Division, with Grace Burritt, Andrea DeSantis, Gail Greenwood and Linda Sturgess posting their low score of 67. Team Hammill placed first for the Mixed-Team Division, with Jeff Hammill, Terri Hammill, Jeff Wallace and Terry Hammill winning honors also with a low score of 67. The board of directors wants to extend a warm thank you to the many individuals and businesses that supported this fundraiser. Without their generosity, our efforts to present musical programs that draw an audience from the Oswego area and beyond just could not be a reality. This event is a critical element for the Oswego Opera Theater to bring quality events to your community. In March of this year, a concert was presented at The Foundry starring Craig Schulman singing songs of Broadway accompanied by several local musicians. It was a “full house” performance with a standing ovation to bring Craig back on stage for his signature song from “Jekyl and Hyde” in which he sang the lead. The goal of the Oswego Opera Theater Board of Directors is to offer additional quality programs in the near future.